It inevitably happens… a bad watermelon will make it to your kitchen. I know I’m personally disheartened when it happens. Typically, when I’m giving my watermelon a quick fruit wash in my sink before I cut it – I mentally say a little prayer hoping its good. I hate wasting money on food that isn’t good – mealy or just over-ripened. However, necessity creates invention… is that how it goes? Well needless to say, last summer I had a winning streak of exceptional watermelons until that one really gross, cracked on the inside, sad watermelon was staring up at me… I just spent $6 or $7 on this and lugged it from the farmer’s market to my truck and then to my kitchen. #fail But I was bounded and determined. I chopped it up and added it to my vitamix and wasteful was turned into successful. My kids love this juice! And if desired, you can always add a shot of vodka to a glass for an adult beverage. OR freeze them in popsicle molds (thanks Cecilia). Watermelon and cucumbers are from the same plant family. Cucumbers contain unique polyphenols and other compounds that may help reduce your risk of chronic diseases. Cucumbers may help to “cool” the inflammatory response in your body which makes this the perfect post workout beverage. Contain multiple B vitamins, including vitamin B1, vitamin B5, and vitamin B7 (biotin). Supportive of digestive health as well. 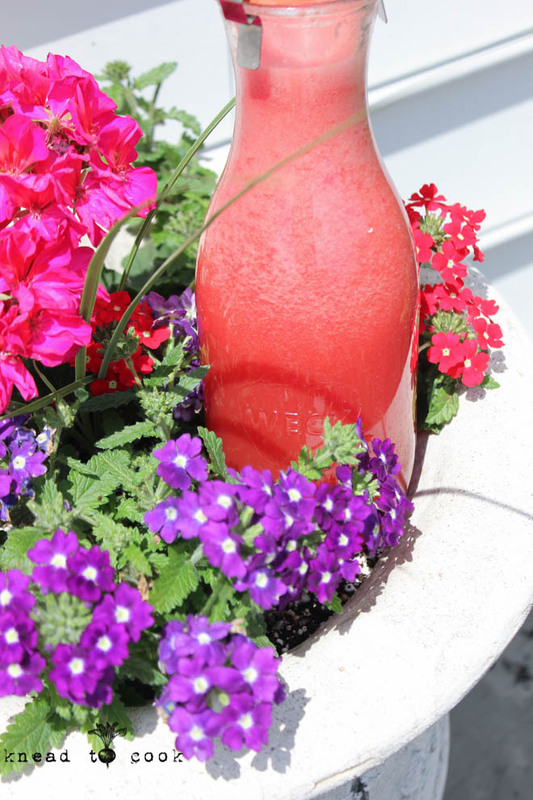 Watermelon is a refreshing fruit is soaked with nutrients. Each bite has significant levels of vitamins A, B6 and C, lots of lycopene, antioxidants and amino acids. Combining the two – is a match made in juicy heaven. Clean eating and knowing what you are giving your children and family to eat is so important. Most of the frozen treats in the grocery stores are filled with preservatives and funky ingredients that I prefer not to serve my family. Last week I finally bought a Zoku popsicle maker. 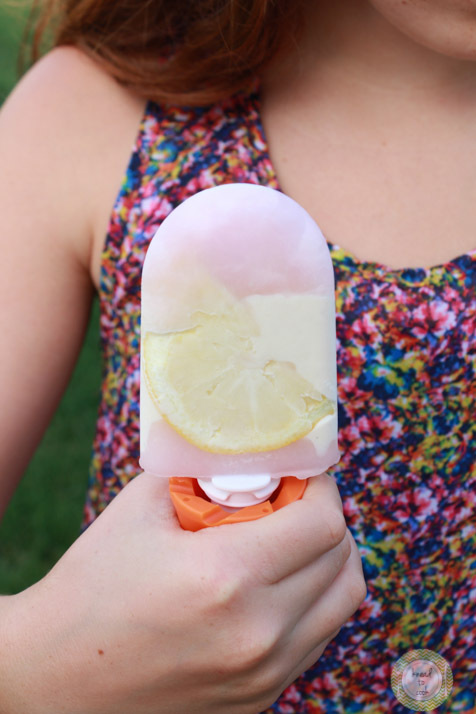 An investment but you can certainly use regular popsicle molds if you have those on hand (they just require freezing time). Plus, kids of all ages love making their own versions of their treats. This is my daughter’s 3rd or 4th popsicle that she’s made. 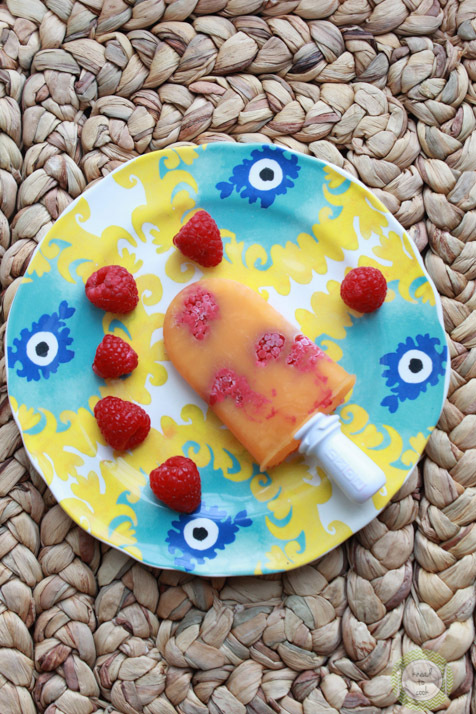 Zoku Pink Lemonade & Greek Yogurt Popsicles. I caved! I admit it. Every single time I’ve been in Williams Sonoma or Sur la Table I have eyed the Zoku pop maker. I hate gadgets but this one, I truly believe, I would use… really! I’m so hyper focused on eating clean and feeding my family better foods, less processed without ingredients I can’t pronounce this fit the bill. I really don’t like store-bought ice creams or treats and prefer my family eat better. So this weekend I had a coupon for Williams Sonoma and I opted to purchase a triple Zoku maker. My youngest has taken over, like a mad scientist, working her magic with different combinations. She has had a blast with it and of course, healthier ingredients that she can pronounce! That being the point. This was her first batch. I love her creativity and excitement in the kitchen!